Flores et al. collected data from three different expeditions that were part of a larger multi-year field experiment that was focused on studying the distribution, population dynamics, and physiology of Antarctic krill. The authors first took data on temperature, salinity, and density. Other factors like solar radiation and chlorophyll meters were used as well to gather environmental information. Surface layer sampling utilized via surface and under ice trawls in the upper 2 m of the water column. The epipelagic sampling was done with a rectangular midwater trawl between the surface and 200 meters. Deep layer sampling used three rectangular midwater trawls set at approximately 3000 meter. Once all samples were collected, three different statistical analysis were used for different parts of study. For comparative community analysis the data were grouped into sampling season and day and night hauls, and a Kruskal-Wallis test was run. To investigate the community structure a non-metric multi-dimensional scaling was used. The results showed that species richness increased as depth increased. The summer months had the highest richness of macrofaunal species compared with autumn and winter, but the overall species richness was similar across each of the three seasons. The macrofauna densities were consistently higher in the surface layer than in the other layers. Autumn had the lowest density of all. Community structure differed markedly across depths, and the composition at the surface was different between seasons. Because of the difference in composition with seasons separate analysis were run for each season. Species composition mainly changed with increasing mixed layer temperature and flow size. The epipelagic layer also showed some connection with flow ice in the winter. The connection of composition with ice seems to show that the there is a need for the ice to help foster development of zooplankton and micronekton. The critical role ice plays may be at risk for longer term environmental forcing like global warming, acidification, and UV radiation. 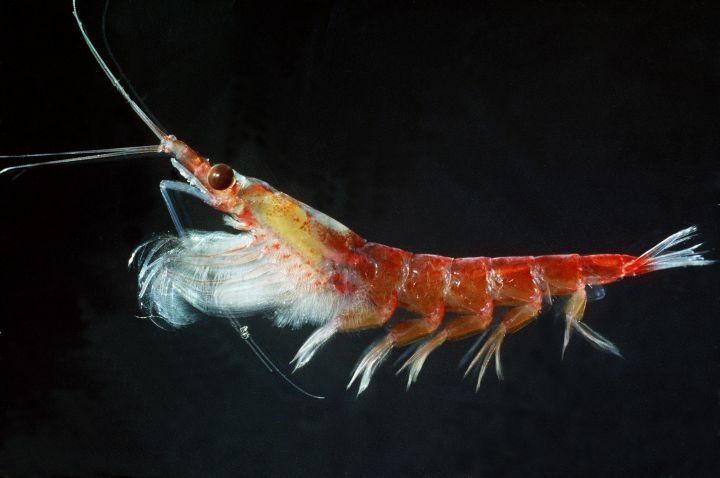 This entry was posted in Antarctic, Cameron Lukos, Marine Migrations and tagged Antarctica, Climate change, Krill by Emil Morhardt. Bookmark the permalink.